The use of mobile application is increasingly high these days, most people don’t even know some of the features embedded in most of their mobile applications, some have not yet try to find out, in most cases they conclude that it is an inbuilt Application so it is the device community that knows why they integrated those applications. It is clear that most modern devices run advance tech apps which facilitates the function of high consumer experiences, there is also no doubt that Mobile app development has brought immense benefits for businesses of all types. Today we see more computing application carrying out tasks so easy and simple in their own various demission. We experience video conferencing applications with beautiful resolutions so clear, that even in dark places will are able to visualize and reorganize objects. We also have apps that allow us access to unlimited storage devices to suit our needs. According developers, business units and experts, it is observed that mobile applications are helping businesses to grow, saving time, money and transforming their processes for better. In this age of technology every one is involved with one application or the other but the big question why do you use mobile Applications. If you don’t know I think you should go back to those early age of nokia phones where all we needed was touch light. But if you must know I want to tell you a little, that device in your hand can do. Once your business has a mobile app that is up and running, you will be engaging and attracting business partners, and more firms to get familiar with the way you business is located and run no time. Once your business has a mobile app, you have increased contacts; you will reach more advertising and selling opportunities as well as increased return in all your investments. People will get to know the business schedules and not being disappointed by human presence hence all messages will be automated and documented. Apart from the above benefits, enterprise applications are focused on providing assistance on how to, in most cases solve challenges that come with any new products. It can be offering updates and availability of a certain services or goods to the target audience. The faster response easy navigation and scalability the application users enjoy, makes the app more effective and liked for the audience. 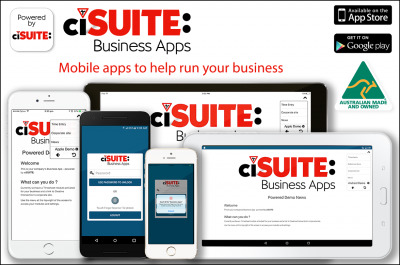 Once the business app is integrated with business software’s, the chances of error development are kind of limited. Unlike regular applications which run on the software’s available in market and become erroneous on app updates. However, when it comes to business promotion and marketing, an effective mobile app can help you do it in no time. ← Samsung Electronics will be rolling out its flagship Galaxy S9 smartphone globally Soon. I'm definitely learning as I go. I got a smartphone only a year ago or so and am so behind the times. It really is important to keep up to date on updates and practice extra security authentication like you mentioned. We really are carrying around mini computers with us so security and protection is important. Mobile information is definitely not going away anytime in this century. More and more people are using mobiles to browse so having an app can definitely be helpful for business.